Owner and Head Instructor, Sigung David Moylan, holds a 6th degree black sash. Find out more about Sigung David Moylan. Sifu Lloyd Fridenburg began his kung-fu journey at the Waterloo Kung-Fu Academy in the spring of 1989. Sifu Lloyd currently teaches our Intermediate / Advanced adult students. 1989 – began training at WKFA. 1990 – awarded Most Dedicated Student. 1992 – trained with Grand Master Pan Qing Fu and played one of Master Pan’s students in the movie Talons of the Eagle. 1992 – again awarded Most Dedicated Student. 1994 – awarded Student of the Year. 1997 – attained the rank of 1st Degree Black. 2005 – one of the first two WKFA students to receive the rank of 3rd Degree Black. 2009 – developed and implemented the Fitness with a Purpose program. 2009 – first WKFA instructor awarded the rank of 4th Degree Black Sash. 2015 – earned his 5th Degree Black Sash. 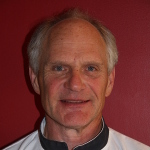 As a senior instructor Lloyd teaches and trains on average 8-10 hours a week. The time is split between WKFA and Fitness with a Purpose. FWP is a unique program designed to meet the needs of adults over 45. 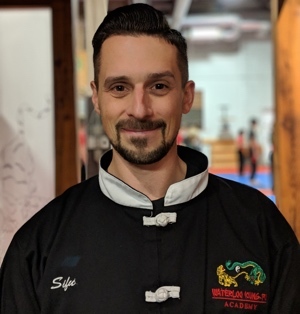 Sifu Eric Kraushaar completed an undergraduate degree in economics at Wilfrid Laurier University, and then attended the University of Windsor for law school. After starting a law practice, with his office very close to the kung-fu academy, as well as starting a family, the need for fitness and regular training had to be addressed, and he re-started training in kung-fu. 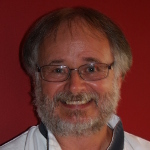 He had dabbled in it during university at WLU with Ron Day, who had just arrived and was starting a school in this area. In 1989, he started studying seriously with Sifu Bob Schneider (later addressed as Sigung) who had recently started the Waterloo Kung Fu Academy, and was given a black sash in 1995. Sifu Eric has been teaching the Wednesday noon class since that time and has also continued to attend classes to train and practice himself, several times a week since that time. He is currently ranked as a 3rd degree black sash. Sifu Sydney Gibson started her kung-fu journey in 1993 and received her black sash in April, 2001. She now holds a 3rd degree black sash. 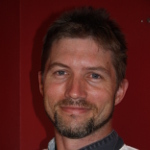 Sifu Sydney currently teaches the Youth Intermediate/Advanced class on Wednesdays. She is an active member and leader of our Lion Dance Team. In her spare time, Sydney volunteers at Sunnyside, and enjoys playing ball hockey, biking, gardening and walking the dog. Sifu Jim Gardner is a second-degree black sash. He began studying kung-fu in 1993 and earned his black sash in 2003. Sifu Jim currently teaches the Youth Novice and Red Belt ranks, as well as helping out with several other classes. He works with Sifu Dave to coordinate the Leadership Team and also compiles our monthly Words of the Week (based on quotes provided by Sifus and members of the Leadership Team). Sifu Jim is a science fiction writer with two degrees in Applied Math; he recently began working on a degree in Earth Sciences. 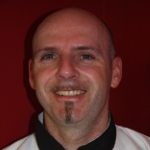 Sifu Daryl Cressman is a 2nd degree Black sash who started with WKFA in 1999 and obtained his black sash in 2007. Sifu Daryl instructs the intermediate advanced Junior class and leads the annual board breaking seminar. He is a skilled woodworker and also produces martial arts training weapons for the academy. Outside the Academy, he enjoys time with his wife and child. 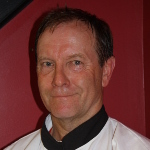 Sifu Craig Robson is a 2nd Degree black sash who started with WKFA in 1990. He earned his his first Black Sash in 2007. In 2015, Sifu Craig earned his 2nd Degree Black Sash. Sifu Craig instructs the Adult Mixed noon-hour class on Mondays. Craig is a lawyer and holds an LLB from the University of Western Ontario. his 1st degree black sash rank 7 years later, on October 4th, 2008.
for coaching the Competition Team. On a rotational basis, he also teaches our 6am classes! As an ardent fitness enthusiast, he supplements his kung-fu training by weight training, running and swimming. obtained his black sash in 2008. Sifu Cory instructs the Adult Mixed All Request class on Fridays and is also responsible for assisting with the Competition Team. 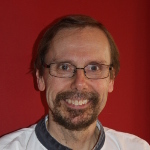 On a rotational basis, he also teaches our 6am classes! He is employed in the insurance industry and holds a Commerce degree from Queen’s University in Kingston, Ontario. In addition to Kung-fu, Sifu Cory spends time with family, running and swimming. Sifu Patti Fievoli is a 2nd Degree black sash that began training at Waterloo Kung-Fu Academy in 2001 and received her black sash in April 2011. Sifu Patti alternates teaching Saturday morning Little Ninjas with Sifu David. She also instructs the Wednesday evening Novice I class and a special Women’s Only class at 10am on Fridays. Sifu Patti has studied and developed age- and gender-specific self-defense programs for elementary children through to adult and has delivered workshops to a variety of groups. 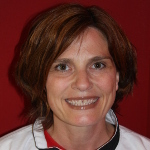 Patti enjoys relaxing with family and friends, studying arnis, arts and photography. 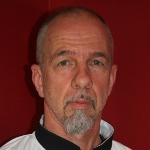 Sifu Mark Jolley is a 2nd Degree black sash who started with WKFA in 2003 and obtained his 1st degree black sash in 2011. Sifu Mark instructs the Adult Red to Green sashes every Thursday , and is also responsible for coaching the Competition Team with Sifu Greg & Sifu Cory. He is an active member and leader of our Lion Dance Team. 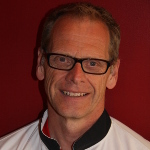 He is a Chartered Professional Accountant and has a Business Admin diploma from Conestoga College. Outside of kung-fu, Sifu Mark enjoys spending time with his wife and his two daughters ( who are current WKFA students). When he can get to his cottage, he enjoys fishing, kayaking and canoeing. 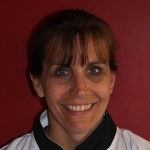 Sifu Rebecca Knapp began her kung-fu journey in September 2001 and earned her 1st Degree Black Sash in April 2011. In 2016, she earned her 2nd Degree Black Sash. Sifu Rebecca instructs the Yellow to Black Sash Class on Monday nights as well as some of the women’s sparring and self-defense classes offered several times throughout the year. On a rotational basis, she also teaches our 6am classes! Rebecca has an MBA and works as a public sector Organizational Development Consultant. She is the mother of three spirited young children and loves hiking, canoeing, cooking, playing guitar and digging in her garden! 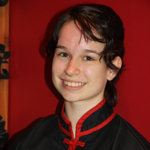 Sifu Sarah Gawley is a 2nd Degree Black Sash who started with WKFA in 2003 when she was nine years old. She earned her Black Sash in spring 2011, the same year she graduated from high school. Sifu Sarah recently earned a biology degree from the University of Waterloo and is currently pursuing further education in Kingston. When she is in Waterloo, she is active with our Demonstration, Lion Dance and Performance Teams. In Kingston, she is keeping up her kung-fu studies at Tallack Martial Arts, but assists at our school whenever she is in town. In her (non-existent) spare time, she enjoys musical theatre and playing trombone. 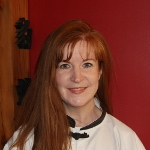 Sifu Lorna Hayward is a first degree black sash instructor. She started at WKFA in 2005 and attained the black sash rank in 2012. In 2016, she earned her 2nd Degree Black Sash. Currently, Sifu Lorna assists with instructing a number of classes at WKFA. Sifu Lorna is also active with our store, Waterloo Martial Arts Supplies. Sifu Lorna is the mother of 6 children. Sifu Ken Busch’s Kung-Fu journey started, for the second time in September of 2003. On May 12, 2012, he successfully graded for his first degree black sash. Currently, Sifu Ken teaches 11 to 14 year old Novice II students Tuesday nights. Ken is passionate about kung-fu, enjoying movies, videos and performances in martial arts. His other interests include r/c airplanes, painting, and drawing. 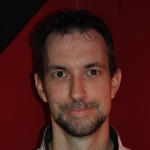 Sifu Greg Weir began training at the WKFA in March, 2003. Just over 10 years later, in May 2013, he earned his Black Sash. 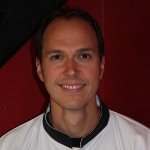 Sifu Greg W. assists with a variety of different classes, and teaches the Adult Novice I class on Monday evenings. Outside of the WKFA, Sifu Greg enjoys reading, movies and playing golf poorly. Sifu Anne Vandrus began her Kung Fu journey in 2004 at the age of seven, and received her black sash May 2014. Currently, Sifu Anne teaches the Youth Yellow Stripes on Fridays and assists with Youth and Junior Intermediate/Advanced classes on Saturdays. 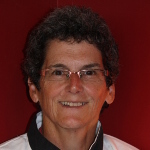 Along with Sifu Lorna, she leads our Demonstration Team, and is also very involved with our Teen Council events. When she’s not occupied pursuing an Environmental Studies degree at the University of Waterloo, Sifu Anne enjoys creative writing, the arts, and has a passion for environmental sustainability.